The guy from Youtube channel his spend 2 days at the Miami ocean drive to filming Gumball 3000 rally. This show was amazing, and we couldn’t wait to share our experience with you. This is the first video from this rally,and more is coming. 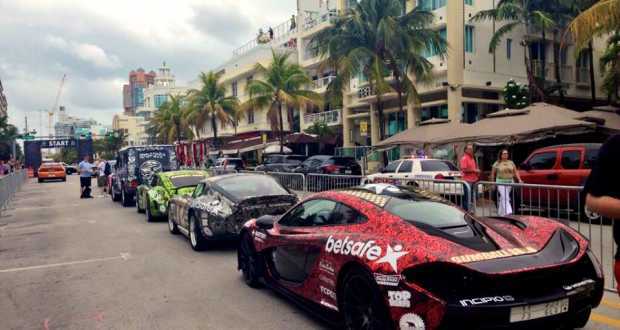 Today the flag dropped on the Miami 2 Ibiza Gumball 3000. This year rally will start in the Miami US,where pass through Atlanta, and finish it in New York City.